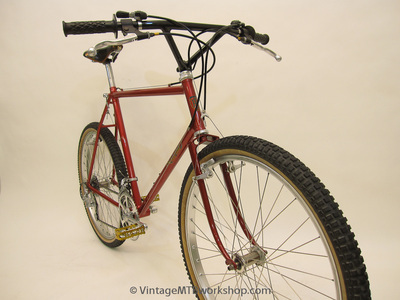 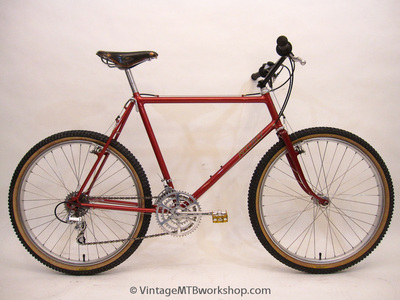 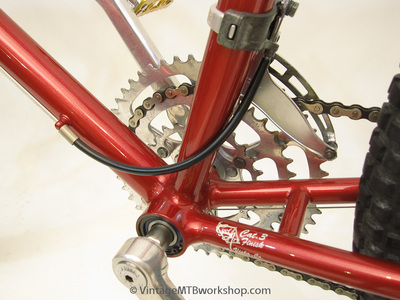 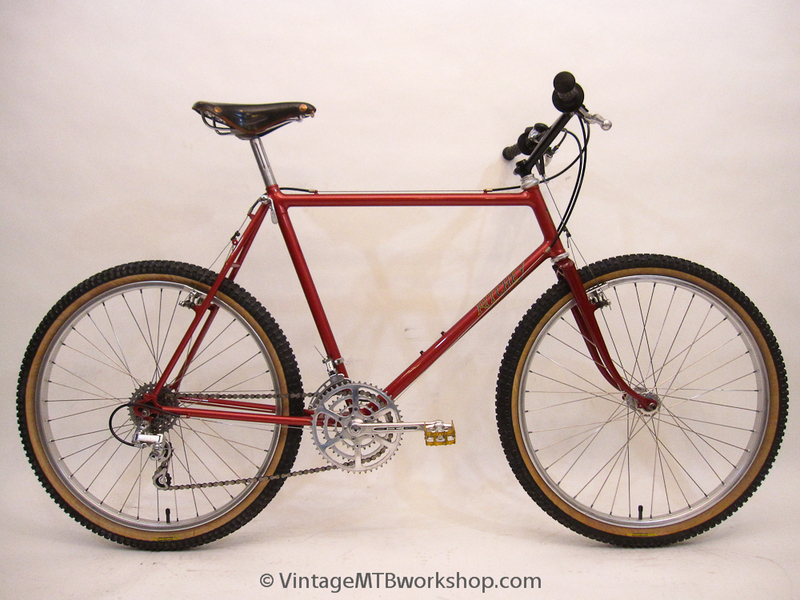 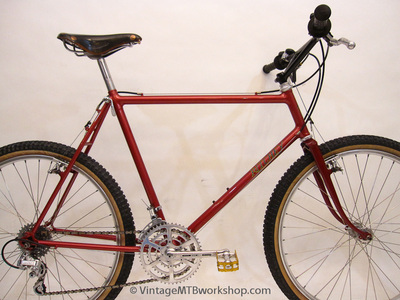 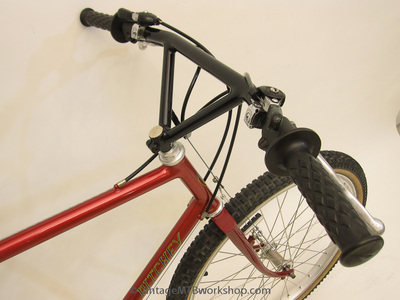 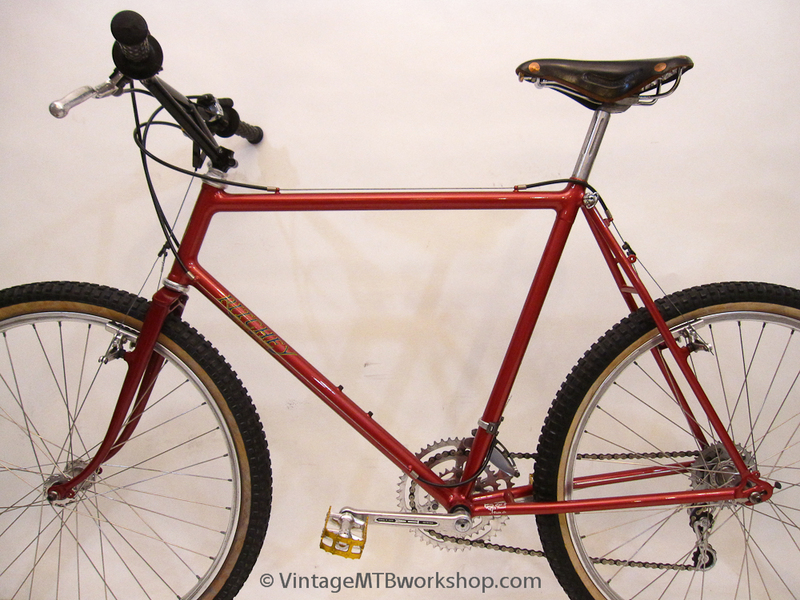 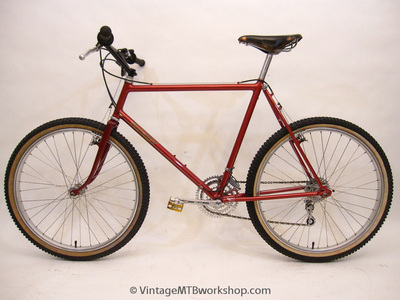 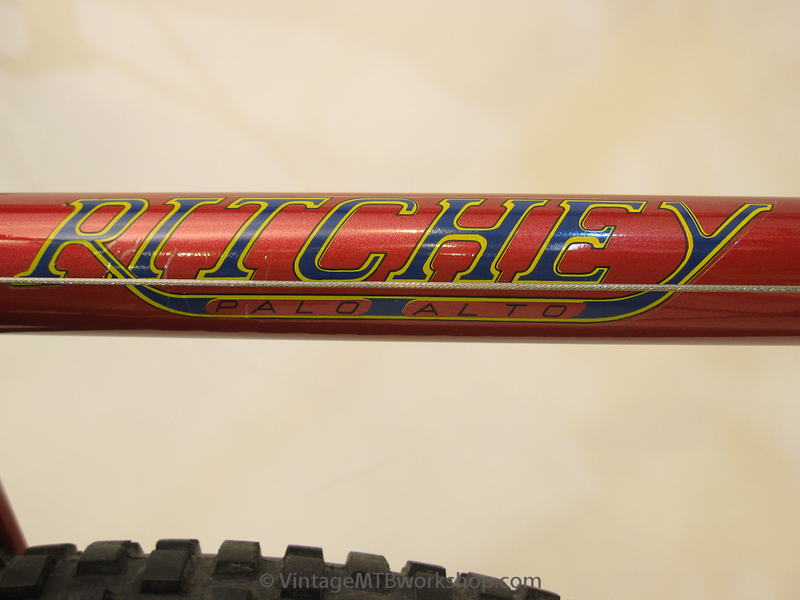 This early Ritchey Everest was sold through MountainBikes, the shop started by Charles Kelly, Gary Fisher, and Tom Ritchey. 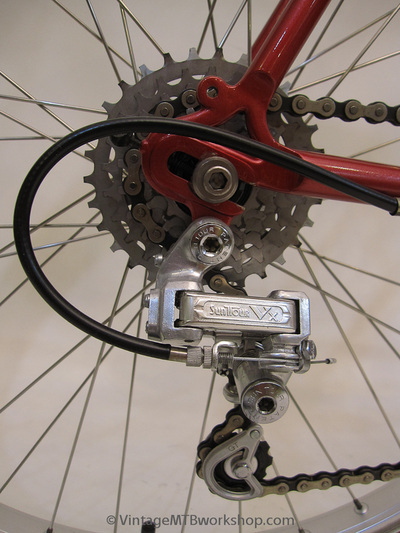 Limited at the time to components designed for other purposes, a host of parts were borrowed from motorcycles and touring bicycles. 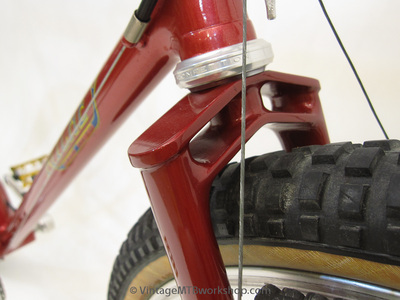 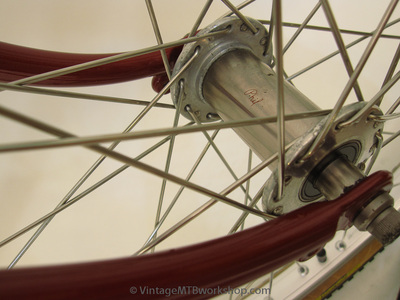 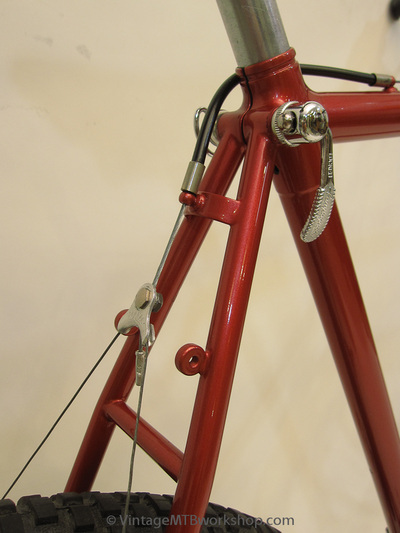 The bi-plane fork was constructed from individual pieces because cast crowns were not available to accommodate wide tires. 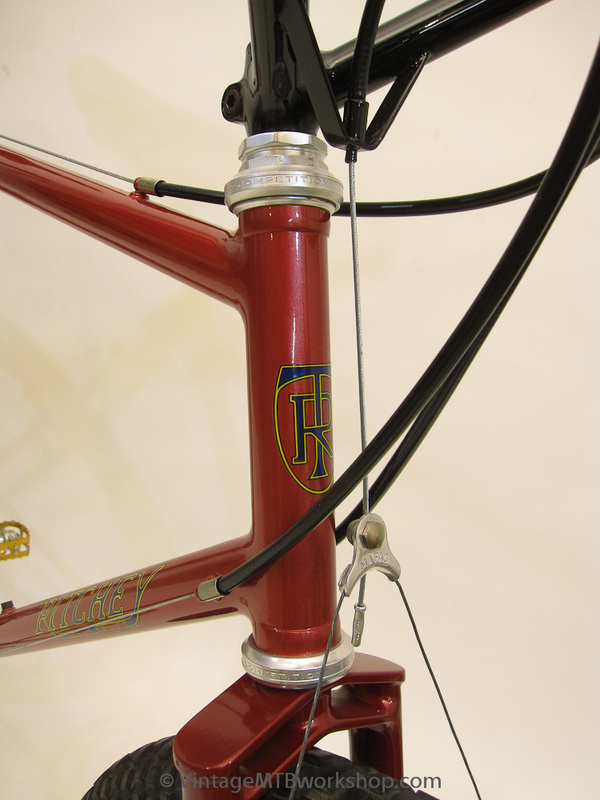 Despite the tall appearance, this frame would have been considered a medium. 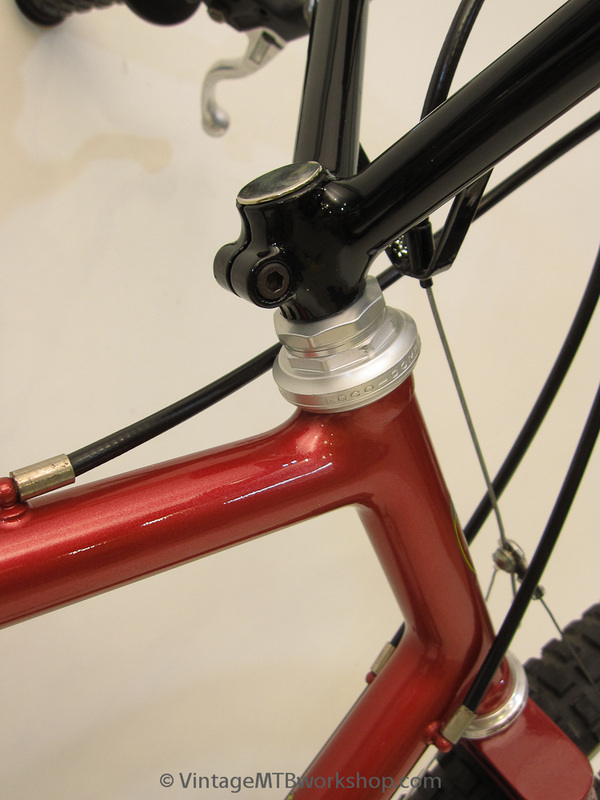 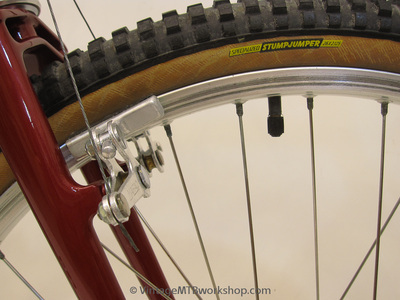 Only short, road-bike specific seatposts were available at that time. 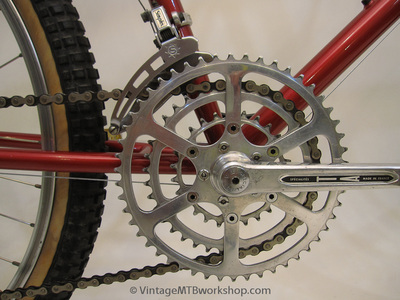 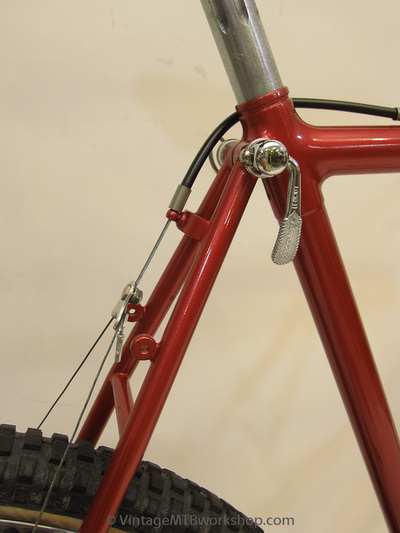 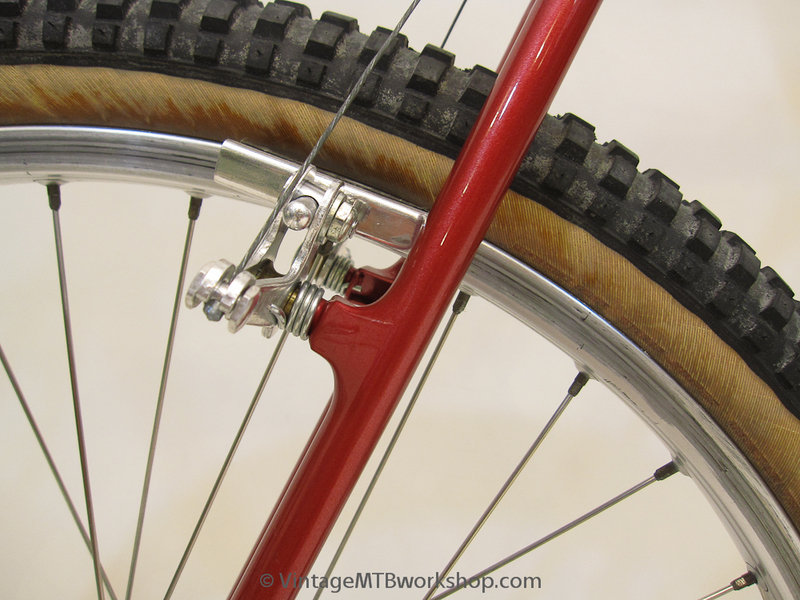 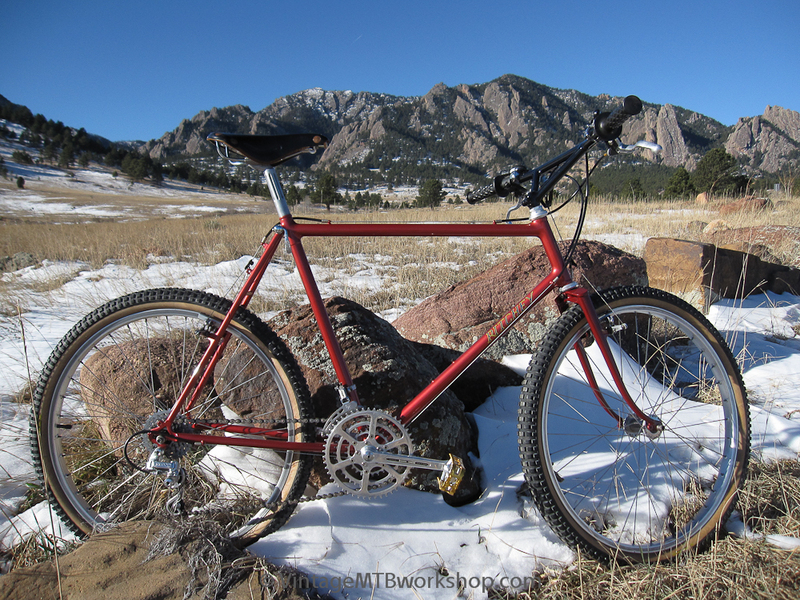 This bike is probably among the first few hundred mountain bikes ever made.